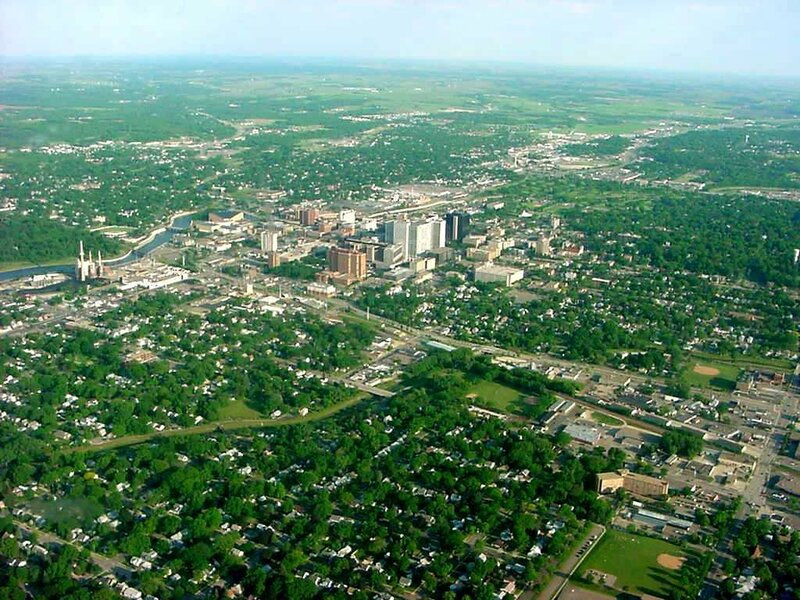 City of Rochester, Minnesota: Rochester is the largest city in southern Minnesota and the fourth largest city overall, behind Minneapolis, Saint Paul, and Duluth, which is located in northern Minnesota at the tip of Lake Superior. The city has a population of about a hundred thousand people, and as is mentioned at the beginning of the chapter, its most famous landmark is the Mayo Clinic, one of the top medical clinics in the world. IBM also has a facility in Rochester and is the city’s other large employer. Southern Minnesota is made up of mostly farms, so coming upon the skyscrapers of Rochester can be a little jarring after passing miles of agricultural fields. Even though the city is only 75 miles or so south of the Twin Cities it still feels rather isolated due to the lack of large-scale development around it. This aerial photo shows the entire downtown. Rochester was selected as the location Balzador’s “coven” used to summon Coronzon because it is close enough to the junction of the Mississippi River and jet stream to draw power from the Air and Water ley lines via the Zumbro River that flows through the center of the city and drains into the Mississippi. At the same time it is far enough away from the Twin Cities that no members of the Guild would be likely to notice his efforts to gather followers until it was too late.